We at TGES-The Galaxy School (003436 Rajkot) believe that Integrity is an important component of students’ academic experience. This is also reflected in our mission statement and belief document (www.tges.org). The academic evaluation a student receives is a reflection of joint work by various stakeholders, primarily it reflects school environment and quest for rigour and relation that teachers share with students. It is also their in multiple drafts work and a preparation for life long learning. The academic evaluation becomes a permanent record for students and it is critical that such records be accurate and consistent and beyond just a label to a child. In addition, the integrity students learn and exhibit at this level will be the model for the professional integrity they practice when they complete their academic work and will be part of life long learning. 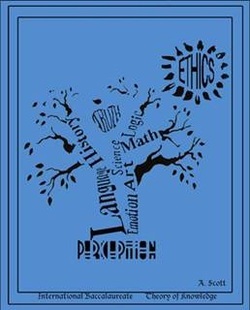 We at The Galaxy School, are privileged to have a community that has trust, faith in TGS/TGES philosophy and agreed upon to identify academic dishonesty, which in turn will help all stakeholders to understand and explore the meaning, purpose and relevance of this policy at TGS. TGS review committee will follow guidelines given in the Academic Honesty Policy by IBO as the final abiding policy in cases of any disputes or disagreements or for interpretations. · Copying from others during an examination. · Communicating exam answers with another student during an examination. · Offering another person’s work as one’s own. · Sharing answers for a take-home examination unless specifically authorized by the instructor. · Tampering with an examination after it has been corrected, then returning it for more credit. · Using unauthorized materials, prepared answers, written notes or information concealed during an examination. · Stealing or attempting to steal an examination paper or answer key. This also means, intentionally and/or impairing, disturbing the proceedings in class, the concentration of other students and/or the teacher. · Changing or attempting to change official academic records without proper sanction. · Forging/ Adding /deleting /changing any assignments once they have been submitted as final work. · Helping other students in writing their projects/ assignments/ work/ drawings etc. which are later portrayed as the work of other students. 1. To steal or pass off as one’s own the idea or words of another. 2. To use a creative production without crediting the source. Any student who knowingly or intentionally helps another student perform any of the above acts of cheating or plagiarism is guilty of collusion. This has helped TGS define its Academic honesty policy very clearly and the same is shared with students at all stages from their enrollment into Diploma program till their final submissions. This policy is also shared at all times with parents for tier deeper understanding of policy and impact in case there is violation of the same, there is doubt about violation of the policy. TGS also believes that NONE of its student body would ever need this policy as TGS is a small knit family and has good Advisory programs and connections with students to prevent them from the lure of instant success and inculcate in them seeds of quality work, quality in their own work and quality that can be shared with pride with others in the community. TGES –TGS believes that responding to the Act of Academic Dishonesty can be dealt in the following manner. Staff- IBDP coordinator will take a workshop for students wherein “Academic Honesty” will be discussed and ideas will be shared to create common understanding for the students. At the end of this workshop students will also sign an undertaking (format attached), which clearly states the consequences in the event of failure to follow the rules/ norms, discussed and agreed upon. TGES-TGS will still focus upon. Prevention, TGES-TGS believes that taking steps to prevent academic dishonesty from the beginning of the term as they start the classes and develop each assignment is the best method. For example, during the initial class meeting in which expectations and structure for the course are discussed, discussions of the academic standards for the course are delineated. Confronting, Acts of Academic Dishonesty: TGES-TGS believes that where ever possible- applicable Team/ IB DP Coordinator will share various strategies for identifying and confronting cheating during exams, in out-of-class assignments or in research papers. Which includes identifying Internet based resources also as well. Reporting, TGES-TGS firmly believes that teachers have a contractual obligation to report allegations of academic dishonesty to the competent authority/ IB DP coordinator. Following appropriate reporting the school will initiate procedures against the students and protect teachers from accusations of misconduct and unfair grading. TGES-TGS will ensure that all students have the detailed information and know the criteria for evaluating their performance: describe acceptable and unacceptable behavior; give examples of plagiarism and impermissible collaboration. Learn to recognize signs of stress in students: ensuring that students are aware of resources that are available at TGS and they can turn to for help if their grades are low or if they feel under pressure. TGS will ensure that students feel they can succeed in class without having to resort to dishonesty. TGS will encourage students to communicate- talk with teachers- IB DP coordinator if they are having difficulties. Ensure equal access to study materials (assignments, exams, old homework assignments). Discuss alternatives to cheating: like brainstorming for the assignments with subject guide, solving their doubts for academic purposes, mostly cheating takes place when deadlines are to be met- following time line for work and submissions,, forming effective study habits and time management are some of the issues that will be discussed with students. TGES-TGS will clearly define what could mean by “cheating.” Students generally assume that if they have not been prohibited to a specific strategy, it is permitted. · Make clear the consequences of cheating. · Ensure that a designated staff member is always in the room at all times for supervision. · Seating arrangements could be such that students do not feel/ tempted to cheat. Students in alternate chairs if space allows – have students place personal belongings on the floor rather than on empty seats. · Make certain that students have cleared the memories on their calculators. · Supply scratch/ rough paper. Collecting answer books from students systematically and not allowing students to rush chaotically to return their work/ submission of assignments/ projects. 1. Discussing the concept of plagiarism. Clarifying the distinctions between plagiarism, paraphrases, and direct citations. 2. Clarifying expectations from each subject teacher / group regarding the use of outside sources, and the proper procedures for crediting those sources. 4. Limiting students’ choices of broad topics (avoids their turning to commercially produced term papers). 5. Change the topics or assignments from semester to semester (prevents students from appropriating an essay from someone who has already taken the course). TGES-TGS will deal in the following manner if Academic Dishonesty- plagiarism is suspected. 1. Disciplinary Warning: verbal or written notification that the student who has not met the standards of conduct, and that a repeated offense will result in more serious disciplinary action. 2. Reprimand: a written statement censuring a student for violating regulations, and stating that another offense will result in more serious action. This is normally considered a lenient response, even for first offenses. 3. Disciplinary Probation: an action that places conditions on the student's continued attendance at the school, including issuing a letter to students and informing his parents/ guardians that further violation of school rules will result in dismissal - or marking “U” for the work submitted. 4. Suspension: a written statement notifying a student that his or her enrollment has been suspended for a specific period of time for violating schools academic honesty policy. The statement includes the terms and length of the suspension, as well as the conditions for re-admittance. This Policy will be shared with ALL stakeholders of TGS at induction of the IB program, and at regular intervals especially during submission of work for IA/IOP/ EE/TOK and these policy documents will be reviewed periodically for better understanding of the term Academic Honesty. Diploma Programme curriculum—core requirements Theory of knowledge The theory of knowledge (TOK) requirement is central to the educational philosophy of the Diploma Programme. 2) consider the role and nature of knowledge in their own culture, in the cultures of others and in the wider world. 4) recognize the need to act responsibly in an increasingly interconnected but uncertain world. 5)As a thoughtful and purposeful inquiry into different ways of knowing, and into different kinds of knowledge, TOK is composed almost entirely of questions. The most central of these is "How do we know?" It is a stated aim of TOK that students should become aware of the interpretative nature of knowledge, including personal ideological biases, regardless of whether, ultimately, these biases are retained, revised or rejected. TOK also has an important role to play in providing coherence for the student as it transcends and links academic subject areas, thus demonstrating the ways in which they can apply their knowledge with greater awareness and credibility.